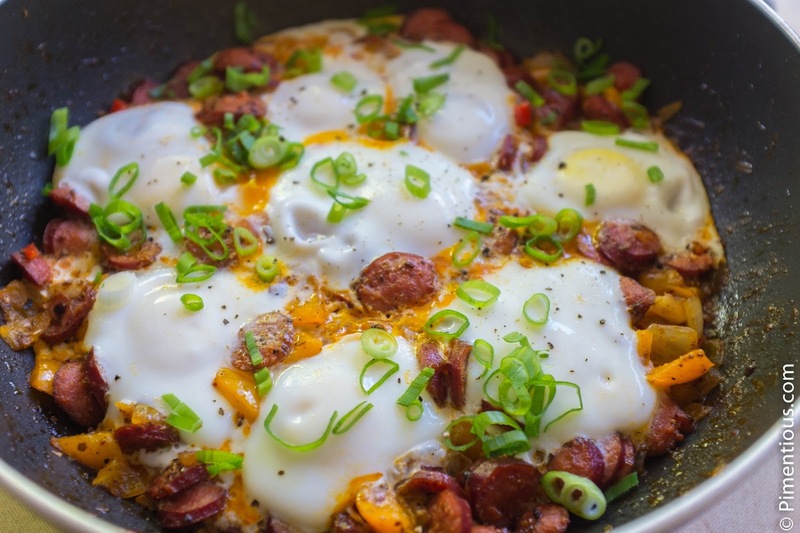 Menemen is definitely not an Indonesian recipe, it's a classic Turkish breakfast egg recipe and it has all the things I love in it; spices, good sausages, and eggs. I fell in love on the first bite. Literally. I tasted this dish for the first time when I was traveling to Turkey last year. It was a breakfast staple at all the hotel I stayed at. I went to the kitchen specially just to have a chat with the chef and ask him about this dish. He told me to go to the local market and visit the spice kiosk and ask for menemen spice mix, and that was exactly what I did. 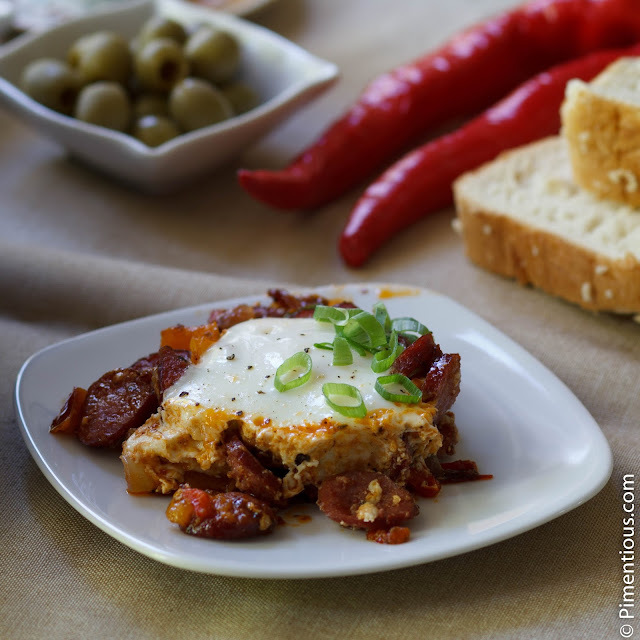 I made this dish almost every other weekend after I returned to Quebec so my Menemen spice is going low fast. I definitely don't want to stop cooking this dish just because I don't have the spice mix any more so I tried few Menemen recipes using the spices I have in my kitchen. Here is my take on Menemen with spices from scratch. Sprinkle scallion on top and serve immediately it with fresh bread, olives, cheeses, and your favorite black tea. PS: the original recipe scrambles the eggs, but I prefer it this way, it looks a lil less messy, especially for plating.